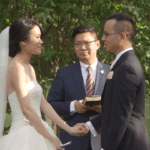 With an intimate wedding gathering planned, Samuel and Jennifer, a Chinese couple from Toronto, knew well ahead that having a photobooth service available to their guests would only strengthen the social atmosphere and form lifelong memories of their special day. 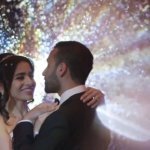 No doubt, with a bit of help from our photobooth experts here at SDE Weddings, Toronto’s premier wedding videography, cinematography and photoboooth group, Samuel and Jennifer’s wedding celebration’s just this past Saturday. 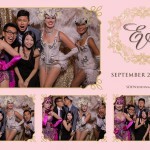 September 6th, 2014 at the Scarborough Golf and Country Club exceeded mere expectation, and became an unforgettable evening of fun, laughter and excitement for everyone. 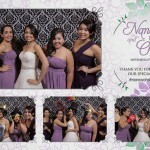 In addition, we were also pleased to receive ahead of time Samuel and Jennifer’s very own custom photobooth design examples for their wedding day photobooth’s printout layout. 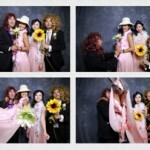 Indeed, it’s always refreshing to have couples engage our crew in the creative process, especially when it comes to ensuring that every little detail of their wedding day photobooth souveniers comes out perfectly. 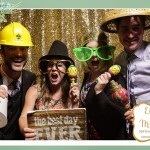 With plenty of photobooth props in hand and a handful of hats of all sizes, Sam and Jennifer’s guests were guaranteed grandiose grins from ear to ear. 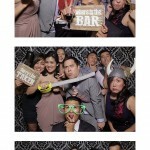 Have a look below to see just how much fun a photobooth experience can be with a few of our favourite snapshots.